Thomas Yee, violinist from Santa Barbara, California, is hailed as a dynamic and versatile professional musician equally comfortable in solo, chamber, recording, and orchestra mediums. This season, in addition to the orchestra season performances, Thomas will toured with Tango Del Cielo, an innovative ensemble featuring violin, harp, cello, and percussion with dancers performing an original multimedia show of latin music, dance, and staging with Rapides Symphony in Louisiana, and at the Ramona Concert Series near San Diego. Highlights last season will included a Monterey Symphony's Valentine's Day Musical Salon featuring Thomas and his wife, Jieun on piano, and spring performances in Texas, Mississippi, and Oregon with Tango Del Cielo. In the fall 2011, Thomas collaborated with Jose Rodriguez as Duo Revirado in solo performances at the Gallo Center for the Arts through the Modesto Community Concert Association, as well as a tour in Mexico. The 2010 season concluded with Thomas taking part as a string quartet member in San Francisco Symphony's acclaimed Adventures in Music, visiting nearly every k-6 school where he presented a special program designed to inspire thousands of San Francisco public elementary school children to connect with music, and is currently in the program again this year with Tango del Cielo. He also performed as a jazz violin soloist with the Santa Rosa Symphony under the direction of Michael Berkowitz in the tune "Have You Got Any Castles." Thomas performs as Associate Concertmaster of the Monterey, and as a rotating principal with the Santa Rosa, Santa Barbara, and Napa Valley Symphonies, as well as performing with Marin, San Francisco Chamber Orchestra, and many other Bay Area Orchestras. In addition to his performing career, Thomas is an experienced and dedicated violin teacher and is a certified member of the Music Teacher's Association of California also known as MTAC. 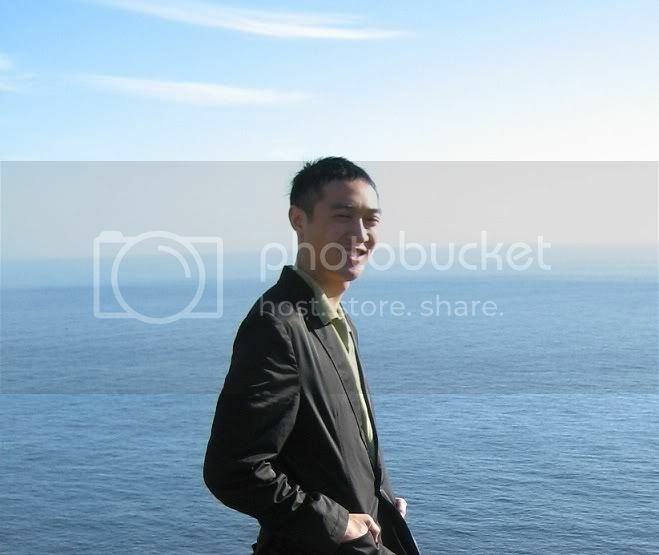 He teaches privately in the San Francisco Bay Area at Jou Music Institute in Cupertino and at T & J Music Studio with his wife, Jieun, specializing in Violin and Piano in Daly City, CA. As of 2016, he has founded a business, Bay Fine Strings, dealing in master workshop, antique, and contemporary violin family instruments and bows based out in San Jose. You can visit his page www.facebook.com/bayfinestrings for more information and current inventory. He graduated with both a Bachelor's of Music degree and a Master's of Music degree in Violin Performance from the San Francisco Conservatory of Music on full scholarship on the patronage of the Conservatory and Santa Barbara Foundations. There, he served as a concertmaster with the conservatory orchestra and has participated in Masterclasses with Robert Mann and Sylvia Rosenberg, among others. At the Conservatory, his mentors included Alexander Barantschik, concertmaster of the San Francisco Symphony, Axel Strauss, and Camilla Wicks. Other mentors include Catherine Van Hoesen and Nina Bodnar. As a frequent performer, Thomas has soloed with the Santa Rosa Symphony, Santa Barbara Symphony, San Luis Obispo Symphony, Santa Barbara Youth Symphony, and Music and Arts Conservatory. He also has been a winner of several Santa Barbara area scholarships and competitions, which include the Alice Nelson Music Competition, Dellar Performing Arts Scholarship Competition, SB Foundation Scholarship, SB Music Club, Profant Foundation, and Leni FeBland Scholarship. Artists worked with have included faculty at San Francisco Conservatory of Music, San Francisco Symphony, Professional Freelance Musicians, and Friends distinguishing themselves in their musical careers. Thomas has collaborated with Axel Strauss, Jose Rodriguez, Timothy Bach, Benjamin Simon, Stefan Hersh, Roger Chase, among others. His performances in chamber music and solo recitals have spanned over the United States and abroad in Europe. Thomas's other interests include playing chamber music, concert-going of all sorts, collecting and dealing in fine violins and bows, traveling, team sports, and keeping a busy lifestyle. He has a positive enthusiasm for all of the work he does, and enjoys very much collaborating on special projects with others. His passion is performing and teaching future generations of musicians, and serving his community and abroad with hand-selected fine instruments. He is an avid collector and dealer of master contemporary instruments, and performs on a Frank Ravatin Violin commissioned in 2014 from Vannes, France, as well as bows by Stephane Thomachot, Edwin Clement, and Robert Morrow.